​Back in September 2018, I wrote a ​"Prophecy" speculating that Jose Mourinho's inevitable sacking from Manchester United could lead to the resurrection of two sleeping giants - United and Inter. This was to be fulfilled by Zinedine Zidane's instalment in the Old Trafford dugout, and Mourinho's seminal return to his old haunt San Siro. Considering the fact that Ole Gunnar Solskjaer is essentially the Red Devils' own brand version of Zidane, phase one is complete (sort of). Now, judging by recent speculation regarding Mou's intentions, and I Nerazzurri's stuttering (or just plain stunted) form under Luciano Spalletti, phase two is coming along nicely. But, apart from potentially catapulting me to Paul the Octopus levels of short-term fame (hopefully without the same demise), what is in it for Inter? 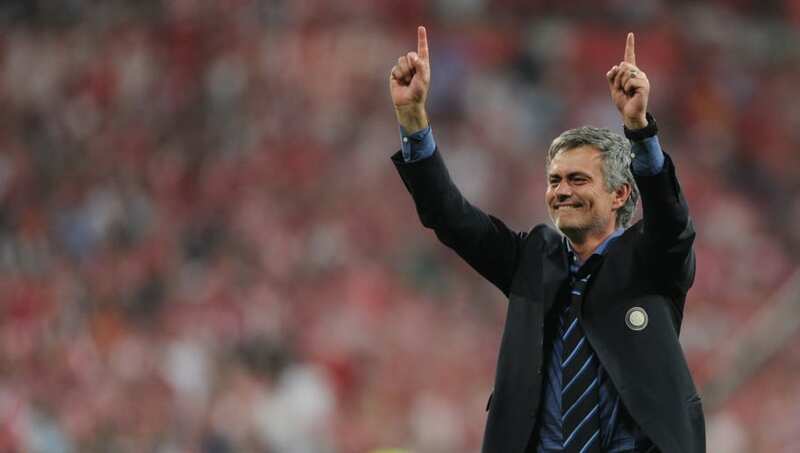 Is Jose Mourinho really the right man to resurrect Inter from the slumber they've been stuck in since he left in 2010? Is that not regression rather than progression? Hasn't Jose been found out? Hasn't his style of play been cancelled? I could just leave it at that, and if that's enough for you then, by all means, look at something else, but I won't. Perhaps surprisingly, given their current status and over-reliance on a player who may well leave this summer, Inter have no less than three world class managers coveting them with interest. Aside from our man Mou, this includes Atletico Madrid's Diego Simeone and Antonio Conte - also known as Jose career arc follower #3 (following Andre Villas-Boas' ill-fated attempts). And it's been fascinating to see all three vie for the position, with each taking very different tactical stances in their pursuit of the job. The Argentine has certainly been the most brazen with his desire, publicly crying his interest out into the world until the hoarsening of his voice. Right, well, that's that. Except it's not, because two other rivals have channels of their own, which they've been quick to exploit. Conte seems to have leant on his considerable base in Italy, probing them to proclaim him the perfect candidate, and denounce the other two. So, what could the now defamed Portuguese tactician do to respond? Well, use the world's most powerful super agent, perhaps even football's most powerful entity (but don't use that to decry Wolves, they get angry), Jorge Mendes. That's right, Mendes is now engaged in back-channel talks with contacts in Italy, and is slowly slithering his way up to Giuseppe Marotta. In the land of propaganda, 'On the Touchline with José Mourinho' will allow the 56-year-old to command his own narrative, and affirm his own beliefs on how football should be played. But, and I know we're asking this for a second time, why, out of the three, is the TV presenter the man to go for? But why does Mourinho deserve the two-year stint? He has more history of burning out, and has just made a 45-year-old Norwegian bloke with a CV that read 'relegated Cardiff, did ok with Molde FK' look like a tactical genius. Because he's got nowhere else to turn to, save for the international stage - and that's for nobodies like his competitor Antonio. Because he's earned a shot at redemption. Sure, he may have regularly bored us with his football, but he has never done such a thing on the touchline (very on-brand). While the intensity of the Premier League's pressing game made it difficult for his signature ball-relinquishing, counter-attacking style to flourish, Italy is still just pedestrian enough off the ball for these tactics to translate effectively. Some teams move on. But not them...Not them. Of the three, he is still the most intrinsically linked to the club, despite Simeone's spell as a player - he played for Lazio twice as long as he did for Il Biscione. Italy is the only place where Jose Mourinho remains the Special One, his reputation suspended in time as the country's last conqueror of Europe. He deserves another shot at protecting this legacy, and ​Inter are the only ones who can provide it.